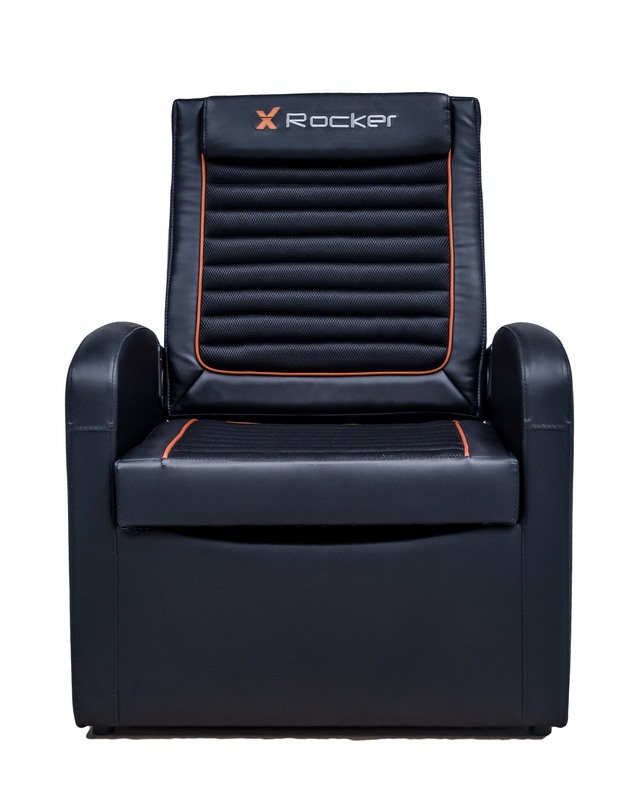 The X Rocker Shift is an incredibly versatile product that doubles as a storage ottoman as well as a 2.1 gaming chair! The X Rocker Shift is a luxurious and versatile gaming chair for younger gamers. The Shift features a 2.1 audio system and seating platform that lifts to reveal generous storage in the base of the chair. The material consists of a striking black and orange faux leather with a breathable mesh padding in the backrest. The X Rocker Shift is compatible with most major gaming devices, Including PS3, PS Vita, Xbox 360, Wii, Wii U, 3DS etc. The Shift is also compatible with the PS4 and Xbox One by connecting to the RCA analogue audio outputs on your TV or headphone socket. An additional digital to analogue converter (sold separately) may be required if these sound outputs are unavailable on your TV.